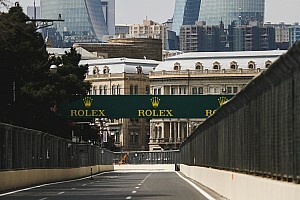 This weekend is the fourth round of the 2019 Formula 1 World Championship, on the streets of Baku. Here is the timetable for the major activities, including the F2 sessions. Plans to run the proposed Miami Grand Prix around Biscayne Boulevard and Bayfront Park in the city’s downtown area appear to have been scrapped in favour of a new venue adjacent to the Miami Dolphins stadium, according to the group led by the NFL team’s owner. The Netflix documentary Drive to Survive has been well received by most in Formula 1 circles despite the conspicuous absence of Ferrari and Mercedes. Will the streaming service commission a second series, and what direction could it take? Ferrari and Mercedes have already developed their cars extensively in what has been an intriguing start to the Formula 1 season after three rounds so far. 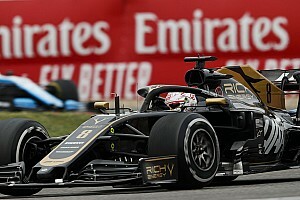 Daniel Ricciardo believes short-term judgements on Formula 1 drivers' form are like questioning the quality of a footballer on a brief goalless streak. Stefan Johansson, former Ferrari and McLaren F1 driver, has come up a with a template for a radically revised version of the sport he loves. Here is the second in a four-part series on what needs to change and why, this time in the nature of the competition. 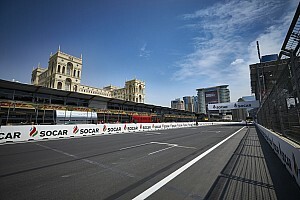 Heading into the Azerbaijan Grand Prix in Baku, there are already strong battles breaking out among the Formula 1 field - giving our regular video show ‘Teammate Wars’ plenty to examine. The depth and breadth of the illustrative archive of Giorgio Piola really knows no bounds, with the legendary Formula 1 illustrator having captured 50 years of the sport’s technical endeavors. Join us as we continue to take a look at some of his favourite cars and this time venture into the excess and decadence of the 1980s – this time, the Brabham BT52. Stefan Johansson, former Ferrari and McLaren Formula 1 driver, has done a lot of thinking – and writing – to come up a with a template for a radically revised version of the sport he loves. Here is the first of a four-part series on what needs to change and why.